"Tumpie's Steakhouse 2, East Dublin, GA" by George Lansing Taylor Jr.
Tumpie's Steakhouse 2, East Dublin, GA.
East Dublin is a city in Laurens County, Georgia, United States. 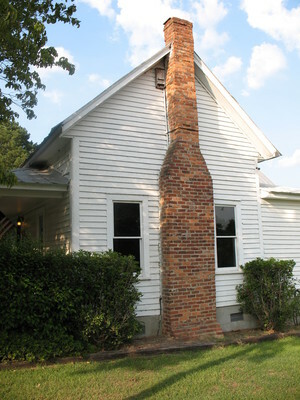 It is a rustic old 1880's farmhouse that has been converted into a restaurant, Tumpie's Steakhouse. All the decor is made from the materials of the old house. It offers an wide assortment of foods not only steaks, but also seafood and pasta dishes. It is known for its steak.